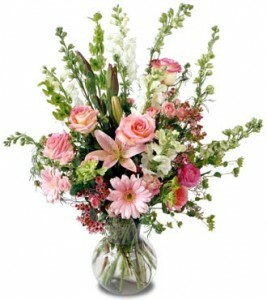 is elated this day to Celebrate the Life of one of our world’s brave women. This indigenous woman carries strong conviction, pure intention with a deep vision that has guided her to Take Action inside her community of Canada’s Indigenous peoples, working to help the children and families. Through her efforts the Canadian government is now agreeing to meet with her this Friday, giving us a once-in-a-generation chance to push for real protection for First Nations land, water and rights. 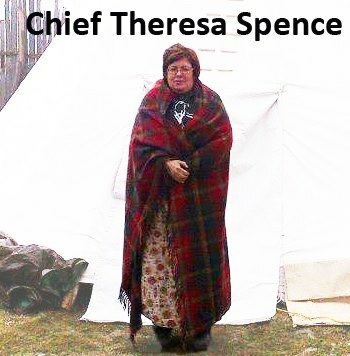 Theresa Spence (born 1963) is the current Chief of the Attawapiskat First Nation in Canada. Spence has five daughters. Her common-law husband is Clayton Kennedy, who is currently Deputy Chief of Attawapiskat. Kennedy was previously hired by the band council to co-manage spending and monitor accounting procedures. She is a prominent figure in the Attawapiskat housing and infrastructure crisis, Idle No More, and other First Nations issues. Prior to serving as Chief, she was the Deputy Chief of Attawapiskat. As Chief of Attawapiskat, Spence oversees a $31.2 million annual operating budget. According to the most recent census, Attawapiskat has 1,549 people living on reserve. The Attawapiskat reserve has been the subject of several state of emergency announcements by Chief Spence in recent years, due to the reserve’s poor housing conditions. The announcements have received national media coverage. On October 28, 2011, Chief Spence called a state of emergency for the third time in three years. The government appropriates First Nations lands, makes their water so toxic it disfigures children’s faces, and brutally under-funds schools and healthcare in their communities. But a real right for First Nations to approve all laws that affect their land and water rights could change all that — and there’s already an unprecedented national movement pushing for it! Avaaz.org rallies for Theresa stating: “The Conservative government’s attitude when it comes to passing laws that affect Canada’s First Nations is shoot first, and take no questions later. They have gutted environmental protection for First Nations water and lands, and grossly underfunded basic needs in these communities. And now the Canadian government wants to unilaterally abolish the Indian Act. We’re talking about the elimination of all kinds of rights, property and even citizenship. The government appropriates First Nations lands, makes their water so toxic it disfigures children’s faces, and brutally underfunds schools and healthcare in their communities. But a real right for First Nations to approve all laws that affect their land and water rights could change all that — and there’s already an unprecedented national movement pushing for it! If 50,000 of us join our voices will be delivered directly to Harper before Friday so we can help give First Nations the power to make sure their rights aren’t trampled on. The only way to stop this is to give First Nations the power to block any laws altering their rights without their free, prior and informed consent. All decisions affecting these resources, revenues and environmental protections have to be taken with First Nations as equal partners — not as second-class citizens. The relationship of First Nations with the land and water is at the very core of their being. Plus, they have historically been great advocates for the sustainable management of our precious resources, making them great stewards. On December 30, 2012, a spokesperson for the Minister of Aboriginal Affairs stated that by the end of 2012-13, the federal government will have spent $131 million on the Attawapiskat reserve since 2006, including the construction of 60 new and renovated houses and a new school. Controversy has grown around the question of how the money received from the federal government is spent by the reserve’s own government. Detailed financial records have not been made public to reserve residents or to the media; some residents of the reserve refused to discuss the matter with media, saying that they feared repercussions. The De Beers company, which owns a diamond mine nearby and employs around 60 residents of the reserve full-time, has donated trailers for housing to the reserve in the past. The Attawapiskat reserve’s government receives a payment from De Beers, but Spence has declined to say how much or how it is spent. LISTEN: Grand Chief Stan Louttit has criticized media coverage of the Attawapiskat reserve finances for misconstruing the true cost of living in remote locations such as Attawapiskat, which is significantly higher than more populated areas in southern regions of Canada. The Attawapiskat Band Council agreed to a comprehensive audit, the results of which are pending review by the Aboriginal Affairs Department and Health Canada. 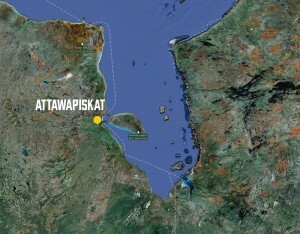 Attawapiskat had been placed under third party management by the federal government following the state of emergency declared by Spence in 2011, however, this arrangement was overturned by a court ruling. A 2012 financial audit commissioned by the Government of Canada has found little or no documentation to account for millions of dollars spent by the Attawapiskat Band Council. According to Aboriginal Affairs and Northern Development Canada (AANDC), Spence and the band council discussed the results of the most recent audit in a teleconference on Sept. 20. The department’s deputy minister signed off on the audit on Oct. 16. “The ‘independent audit‘ from Deloitte and Touche LLP. speaks for itself, and we accept its conclusions and recommendations,” said Jan O’Driscoll, a spokesman for Aboriginal Affairs Minister, John Duncan. Spence was not answering questions Monday and reporters weren’t allowed into the camp where she has spent her days on Victoria Island in the Ottawa River, blocks away from Parliament Hill. Instead, Spence, who is on a hunger strike, put out a written statement Monday afternoon, saying the audit was “no more than a distraction” meant to “discredit” her. “Case in point — families are still living in ‘condemned’ homes years after the fact. Whether that’s because of funding or other considerations, I can’t really say.” reads a Nov. 30, 2011 Health Canada email, released to Postmedia News. In February, 22 modular housing units arrived in the community at a cost of $2.5 million for construction and transport. On 11 December 2012 Chief Spence declared a hunger strike, and has stopped eating all solid food and limited her liquid intake to occasional consumption of lemon water, medicinal teas and fish broth. This hunger strike is intended to focus public attention on First Nations issues, to support the Idle No More indigenous rights movement, and to highlight concerns about the government’s omnibus Bill C-45. Opponents of the bill argue that it would remove many of the rights of the First Nations; including rights to self-governance and control of their land base. Proponents argue that the bill would demand more accountability from highly paid chiefs and their support staff, and reduce corruption and nepotism. Are we forgetting our neighbors? The Attawapiskat First Nations declared a ‘state of emergency’ on October 28, 2011, because of major health and safety concerns for the Aboriginal people of the community, mostly due to poor housing, lack of clean water, low or no heat to bear the cold, and other hygienic needs. One of the major crises is the housing issue: several generations of families are being forced to live under one roof. The residents live in tents, dilapidated huts, temporary shelters and a few trailers—with many homes without running water or electricity. The lack of clean running water causes adults and children to be covered in rashes, while human waste is forced to be dumped into nearby ditches. HCI is supporting the Attawapiskat, First Nation community who are in dire need. Her hunger strike has brought worldwide attention to the Idle No More movement, which has expanded from a primarily Canadian First Nations movement to an international phenomenon, with support events held across the U.S. and as far away as Europe and New Zealand. She has the full backing of the Attawapiskat community. ‘Ms. 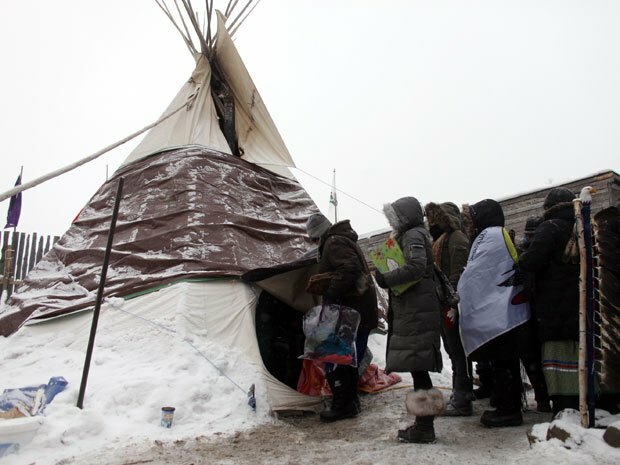 Spence has staged her protest in a traditional tee pee within sight of the parliament buildings in Ottawa, Canada’s capital city. Ms. Spence has urged Mr. Harper to “open his heart” and meet native leaders. 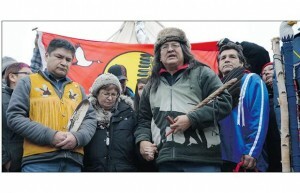 Instead, the Canadian government has offered a meeting with Aboriginal Affairs Minister John Duncan. During her hunger strike, Ms Spence is consuming only water, fish broth and a medicinal tea.’ Reuters news agency reported. 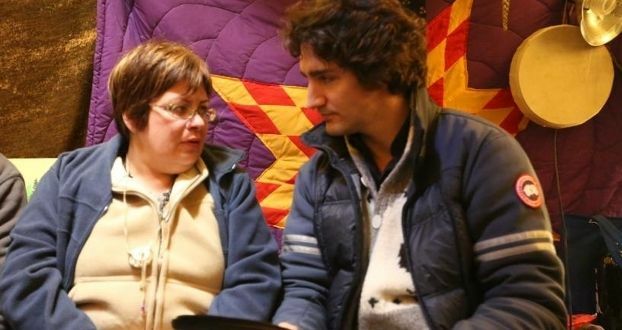 OTTAWA — ” Liberal leadership contender Justin Trudeau paid a Boxing Day visit to hunger-striking Attawapiskat Chief Theresa Spence at her Victoria Island tee pee on Boxing Day. The 45-minute meeting took place at the request of Trudeau, who wants to show solidarity with Spence, who’s been on a hunger strike since Dec. 11. 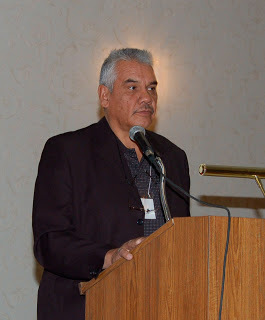 Federal Minister of Aboriginal Affairs and Northern Development, John Duncan sent a letter to Chief Spence on December 25, 2012, expressing concern for her health and urging her to end her hunger strike. Spence called for a day of protests in support of her cause to take place on December 30, 2012, bringing peaceful demonstrations in Toronto, Calgary, Vancouver, and other locations, while a VIA train was detained by demonstrators near Belleville, Ontario. Spence was visited by 21 senators and members of Parliament representing opposition parties. Former Prime Minister Paul Martin met with Spence on January 5, 2013, calling her “an inspiration”. Amnesty International has issued a statement in her support and has urged the Canadian Prime Minister to meet with Chief Spence. Shawn Atleo, National Chief of the Assembly of First Nations, has met with Spence repeatedly and has tried to convince her to end her hunger strike, without success. On January 1, 2013, Atleo invited the Prime Minister to a January 24 meeting with First Nation leaders, but this date was rejected by Spence who said her health condition required a meeting within 72 hours. 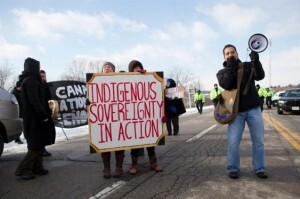 On January 4, 2013, Prime Minister Harper announced a meeting with a delegation of First Nation leaders coordinated by the Assembly of First Nations, to follow up on the issues discussed during the Crown-First Nations Gathering on January 24, 2012. A meeting is scheduled for January 11, 2013. John Duncan, Minister of Aboriginal Affairs, will attend. A spokesperson for Spence stated that she would attend the meeting, but that Spence and her supporters want Governor General David Johnston and Ontario Premier Dalton McGuinty to attend as well. Spence’s spokesperson stated that the hunger strike would not stop and could continue after January 11, 2013.
welcomes this powerhouse of conviction, a Woman Taking Action with a mission to solve critical issues that have been sliding for years inside her community, so to house and feed the children/families. Her Action have achieved global attention to this crisis. Welcome into our Alumni through this tribute.